The Nigerian Meteorology Agency (NIMET) has warned farmers to expect lower and erratic rainfalls, which in turn, may hamper food production. The agency said this in its 2019 outlook, scientifically predicting that there would be late onset of and early cessation of rainfalls; and that the rainfall season would be occasioned by dry interregna that might span 10 to 21 days. Unlike technologically advanced countries, Nigerian agricultural system is still heavily rainfall-dependent, with a few hectares of the total farmland irrigated, according to Dizengoff West Africa. According to the World Bank collection of developmental indicators, the total agricultural irrigated land (% of total agricultural land) in Nigeria as of 2004 was 0.30474%. In fact, the International Food Policy Research Institute said, as of as of 2018, that “Currently, only 1 percent of Nigerian cropland is irrigated, meaning most farmers can cultivate their fields only during the rainy season. This also leaves farmers and food-insecure populations vulnerable to the changing and unpredictable climate. Indeed farmers in the affected states of Kogi, Niger, Benue, Jigawa, Delta, Edo and Bayelsa, among others, are still grappling with devastating effect of the 2018 flooding that destroyed over 300,000 hectares of farmland. Farmers in Rinjim Local Government Area of Jigawa State are still counting their losses following the flood that washed away 70 percent of their farm products. Unfortunately, NIMET has said the year is anticipated to be ElNino year, meaning that there would be rainfall deficits with varying magnitudes in most part of the country, especially northwards. This, according to the report, would impact the timing of the onset and cessation of the growing season. The agency predicted the growing season would be delayed in most parts of the country due to the El-Nino signal, nothing that the earliest onset date would be around March 7 2019 in the coastal areas of the south-south. However, in the Northern cities like Maiduguri, Sokoto, Katsina, Sure, Pitiskum, Kano and Nguru, steady rainfalls would commence from June 16. The earliest cessation dates are expected to from 29th September around the Northwestern parts of the country and most of the North would witness cessation dates within October, while around the central part of the country, the growing season is expected to witness cessation dates within October while around the north-central parts of the country, the growing season is expected to end between late October and mid-November 2019. Parts of the central and southern states are expected to experience end of season by mid-November to early December, while in the coastal areas, the season is expected to end by late December. Meanwhile, like most of the north, the south-east, Ikej and Ijebu-Ode in the south-west are expected to witness an earlier-than-normal end of growing season. However, the agency foretold that the duration of the growing season is expected to range from 109 to 290 days, adding that the lengthy growing season is expected for most parts of the country, especially over Sokoto, Yelwa, Gusau, Zaria, Kaduna, Kano, Sure, Potiskum, Home, Bauchi, Looks, Enugu, and Ikom. The weather forecast also noted there would be normal lengthy growing season around Shaki, Iseyin, Oshogbo, Ado-Ekiti, Ibadan, Ondo, Akure, Benin, Port Harcourt, Calabar, Owerri, Uyo, Ninja, Abuja, Makurdi and Ilorin. The country is also predicted to have between 300mm rainfall volume in the North, to 2700 in the South, while Sokoto, Katsina, Yobe and Borno are expected to have the least rainfall volume within the range of 300-700m. NIMET also forecast the probability of dry spells which shows that places around Bauchi, Jigawa, Sokoto, Zamfara, Katsina, Kano, Kebbi, Yobe and Borno states would likely experience severe dry spell in June that may last 10 to 21days after the onset of rainfalls that may spill into July. The agency added that moderate dry spells that may last eight to 15 days are expected around Yelwa, Bida, Minna, Zaria, Funtua, Lagos, Bauchi, Abuja, Home and Yola, in June. In the first week of July, Borno, Jigawa, Sokoto, Katsina, Yobe, Kebbi and Zamfara would experience dry spells between eight and 18 days, it added. NIMET, however, warned that with the anticipated El-Nino year, farmers in the northern states, especially the Sahel zones, are advised not to plant early. This is due to the projected late onset of rainfalls in most parts of the country and the delay is more likely to be evident in the northern states as a result of strong El-Nino tele-connections. Most significantly, the agency said early cessation in the northern parts of the country would result in shorter length of growing season, which could affect food production, farmers’ income and standard of living. The north produces the largest percentage of the total annual grains and pulses, without which the country becomes food insecure. “The 2019 weather forecast is very significant due to the forecast that the behavior of the climate in the country is not going to be pleasant, due to the fact that the rains are not going to start early, meaning it would not be significant enough for farmers to start planting. In the Northern part of country, it would not start until middle of June, while in the South it would not start until March. “Also, temperature is going to be higher-than-normal in most part of the country due to the increasing trend of warmness … in the last three to four years. We have also predicted that the length of growing season is going to be shorter, varying between 100-200 days, and if that is divided by 30, that means some states will have less than three months to plant, grow and harvest and many crops require at least four months to mature,” NIMET had warned. The director-general of the agency also said dry spells, wherein rainfalls suddenly stop and pick up after two to three weeks, would affect many crops and that the episode would have damaging effect on crops and animals. Unfortunately, the bulk of the changes would affect states serving as the food baskets of the nation, where grains and livestock are being massively produced. As a preventive method, the agency stressed the importance of farmers’ access to improved drought-resistant varieties, especially early maturing grain seeds. It also called on the government at all levels to embark on awareness and sensitization of farmers and other stakeholders on climate smart agricultural practices such as on-farm water harvesting structures, soil and water conservation practices, and land preparation, among others. NIMET also called on farmers to make provision for irrigation water during predicted periods of dry spells, urging farmers to plant and manage more trees around homes and farms so as to mitigate adverse effects of climatic conditions and have more friendly environments for comfort and farming. Suggesting ways to prevent food shortage despite the gloomy picture painted by the agency’s forecast, Samuel Olakojo, a professor of food crops breeding at the Institute Agricultural research and Training (IAR&T), Ibadan, Oyo State, recommended that farmers should plant early-maturing varieties of grains and pulses; inter-crop with drought-tolerant crops like cassava so that some harvest would be guaranteed and that farmers should wait for rainfalls to stabilise before planting. Professor Olakojo explained that though early maturing varieties of maize, sorghum and millets are available at research institutes and major seeds companies, these varieties are usually low yielding. They would, however, guarantee harvest despite the predicted scanty rainfalls. The low yield of these early-maturing crops could be compensated with high density plant population per hectare. 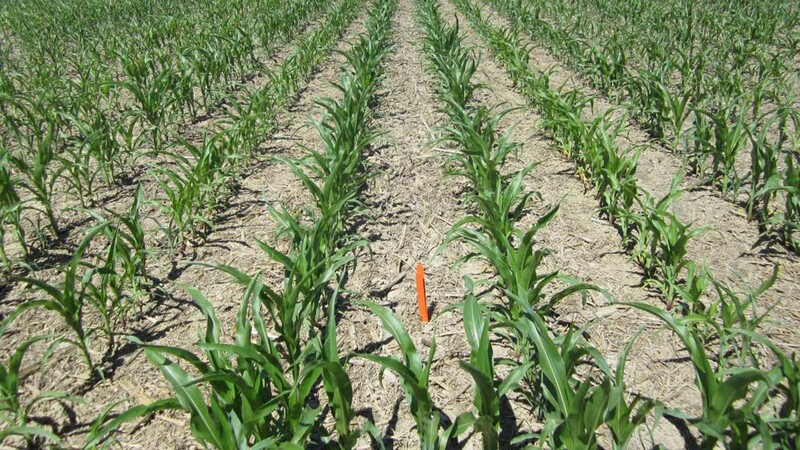 Instead of planting about 50,000 stands of early-maturing maize, farmers should plant about 65,000 stands, apply adequate bags of fertilizer and control weed effectively. This, Olakojo said, would boost the yield per hectare. The same applies to sorghum, millets and other grains. Also speaking on the socio-economic implications of the 2019 forecast on livestock, the agency noted that the warmer-than normal temperatures predicted for February and April would affect livestock production, especially in the northern states where rainfalls are would be scanty. NIMET also warns that similarly, the colder-than-normal daytime temperature in March is expected to affect day-old chicks and increase feed conversion rate in layers and broilers, mentioning that heat related diseases are also likely among the animal population due to the predicted warmer conditions in most parts of the country. The agency stressed the need for adherence to veterinary practices for livestock and fisheries and aquaculture management, warning that fish production would also be adversely affected as a result of warmer than-normal conditions, especially in the northern part of the country. Livestock experts have advised that vegetations should be maintained around animal farms and pens; installation of solar-powered fans or air coolers should be done on poultry farms; cool sources of water should be ensured for animals and that feeding should be done very early in the morning, as well as using Vitamin C supplements for poultry based on the recommendations of vets. God is in control, whether rain or no rain the power of God will manifest and there will be enough food for the living. What's even the yardstick for this analysis? I hope this will not lead to drought this year in food production.